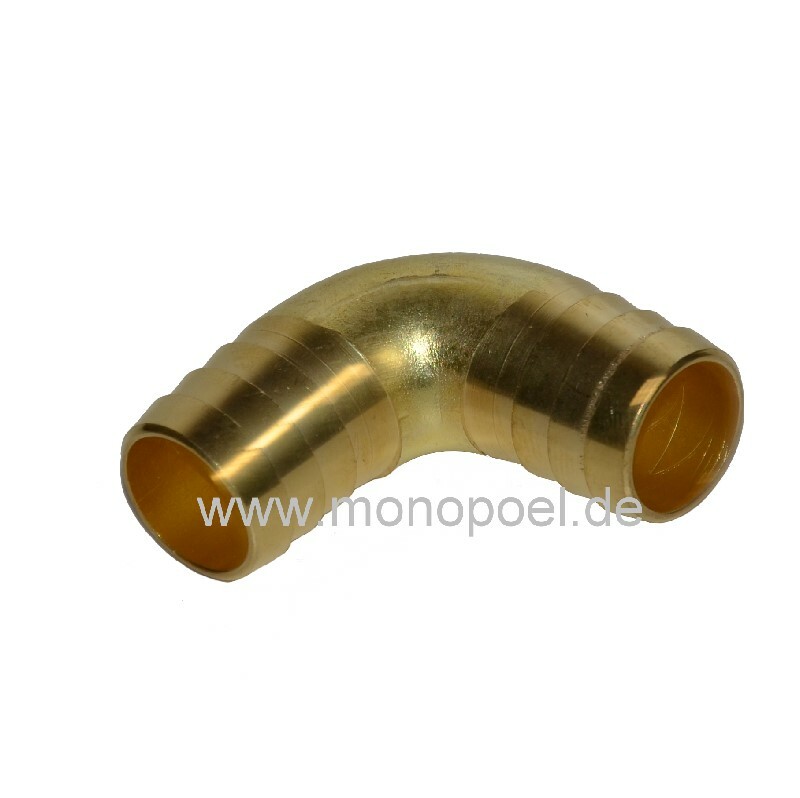 With this 90° elbow fitting narrow installation situations for the low pressure hydraulic hose s-kr-10 (for cooling water, fuel, etc) or any other hose with an inner diameter of 10-11 mm can be mastered. The nozzle has an outer diameter of 11.5 mm. The appropriate hose clamp is ss-12-22, tha matching mounting plat clip is sb-20.